It’s a new year, and if scheduling a solar assessment was one of your resolutions for 2018, now is the perfect opportunity. Most Intermountain West residents don’t think about outdoor home improvement projects in the middle of winter. But it’s truly the perfect time to schedule a residential photovoltaic (PV) system consultation with a qualified local solar power contractor. Why? Most professional photovoltaic contractors — including Intermountain Wind & Solar — offer free solar assessments to homeowners thinking of investing in a solar power system. A free consultation is your chance to get an expert’s opinion on the ideal placement and configuration for a photovoltaic system at your location. And the opinion comes with no strings attached. You won’t have to suffer through a sales pitch, and you won’t be pressured into signing a contract. How much can you potentially save by switching to solar power? Should you opt for a micro-inverter or a string inverter for your system? What’s the deal with net metering? What are the options for financing a photovoltaic system? During a solar assessment, you’ll have a chance to ask these burning questions — and get the answers that you’ve been searching for, based on your needs, goals and budget. Instead of searching for advice online, you can take advantage of your free consultation to gather information, enabling you to make informed decisions on your residential PV system investment. Schedule your solar assessment now, and you’ll have plenty of time to make all the preparations for a spring installation. Your professional photovoltaic contractor can acquire the necessary permits, and you can make any necessary roof repairs and energy efficiency improvements you may have in mind. When your contractor fills in the blanks, all you’ll need to do is pick the installation date. Once the winter weather disappears, you’ll be ready to make the switch to solar. Industry experts recommend getting two or three site assessments and comparing estimates before choosing a photovoltaic contractor. Winter is a great time to schedule these consultations. It’s the slow season for residential PV system installers, so most contractors are available to meet at your convenience. If you live in Utah, Idaho, Wyoming, Colorado or Nevada, schedule a solar assessment with Intermountain Wind & Solar. 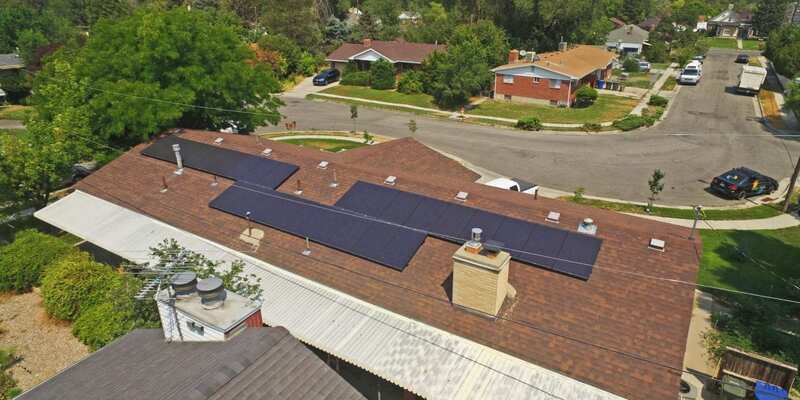 As the leading residential photovoltaic provider for the Intermountain West, we’re known for our exceptional customer service and high-quality residential PV system installation at an affordable price. Contact us today to schedule your free solar assessment with a member of the Intermountain Wind & Solar team. Can a Solar Monitor Help me Save Money?